Set in a picturesque 19th Century chapel with Cotswold limestone walls and arched windows, this charming spa has a Mediterranean, rather than English, feel. The candlelit lounge is built inside the gallery – lunch is delivered by a nearby café and tea rooms, and you can eat in one of the cosy booths here. 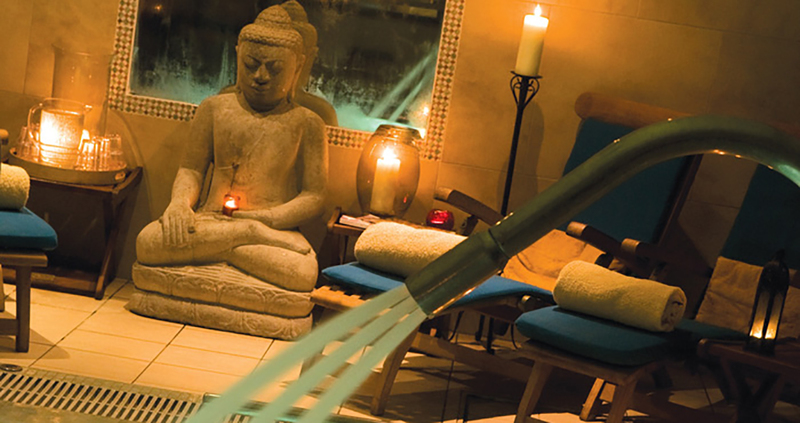 Facilities include a gym, hydrotherapy pool, steam room and Arabian rasul, while treatments use products from The Ease range, a Chapel Spa own brand. Lunches are cooked by the Story Teller Restaurant, which is next door to Chapel Spa. You can also have a home-made Afternoon Tea. You can eat in either the gallery area at the spa, or in the restaurant itself.